If you are a Windows power user, you would definitely like to know more about your computer hardware and software. Knowing about the installed hardware of your computer and its current state will help you keep an eye on the hardware health and get it replaced even before it malfunctions. 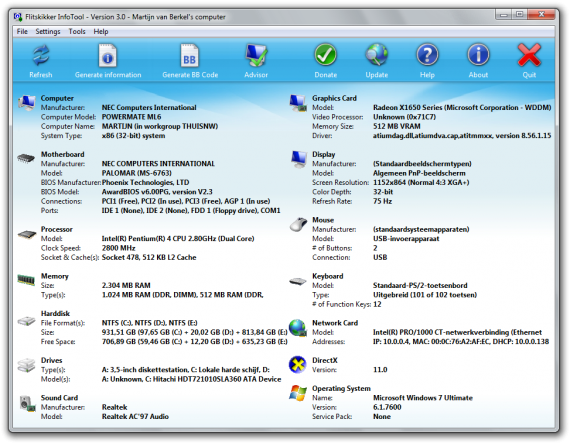 The easiest tool that can be use to check the computer or laptop hardware in Windows is the built-in Windows System Information Tool. If you go to Run –> msinfo32, this will show basic details about the hardware installed in your computer. You can also use the device manager to see the devices installed in your computer. Also this may seem overwhelming, this detail is quite basic. Let’s discuss some tools that will tell you more about your computer. In the end, I will discuss about an all in one solution that can be used to check each and every details about your computer hardware. All the software discussed below will be useful in one way or the other. Just choose the one that suits you. 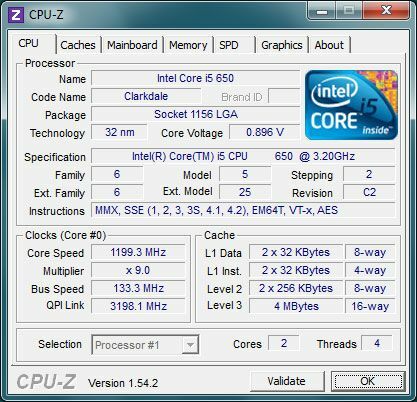 CPU-Z shows detailed information the main devices of the computer. The main devices include detailed information about CPU (name and number, core stepping and process, package, core voltage, internal and external clocks, supported instruction sets, cache info), motherboard (vendor, model, BIOS info, Chipset northbridge and southbridge, sensor, graphic interface) and memory (frequency, timings, serial presence detect) and other system information. 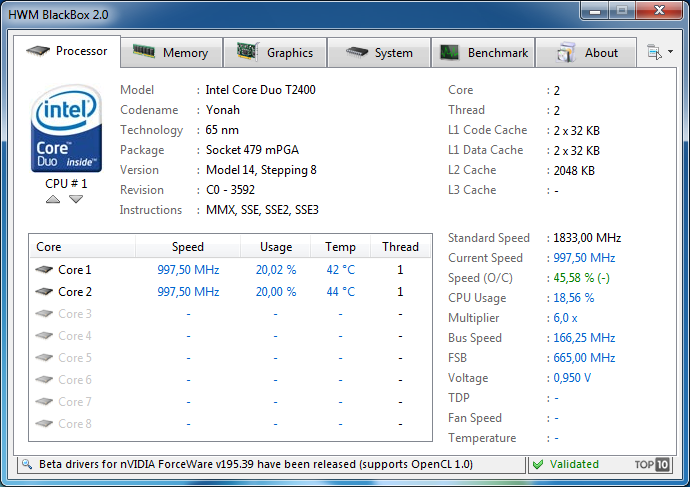 The best thing about CPU-Z is that it shows all information on one screen organized in tabs. 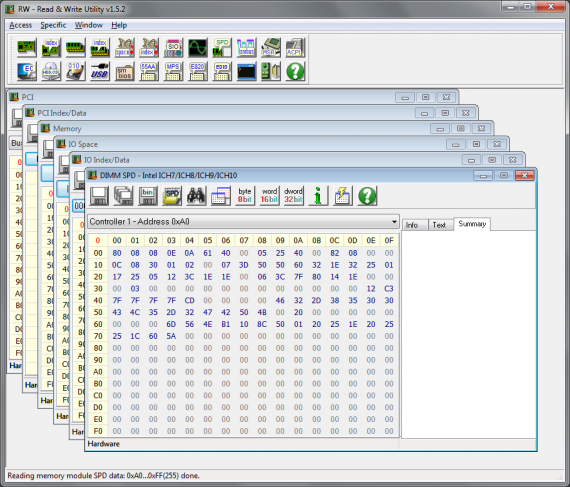 Speccy is an advanced information tool which is available as an installer and portable program. Speccy shows information about more hardware devices than CPU-Z. The information is a little different. It can be termed as essential information as not all details about each device are shown. 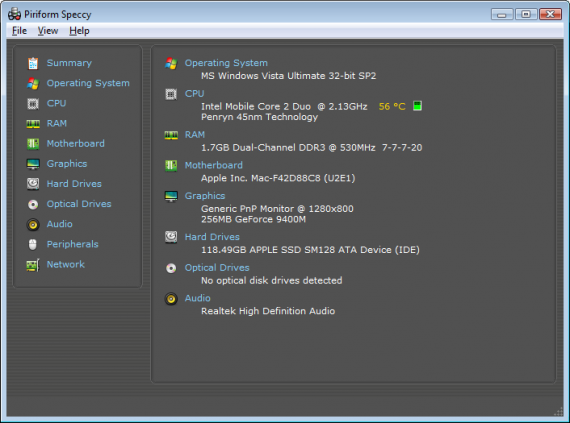 Speccy shows information about the Operating System, CPU, RAM, Motherboard, Graphics, Audio, Hard Drives, Optical Drives, Peripherals and Network cards. HWiNFO is a professional tool that can be used to gather all the details of each hardware component of the computer. HWiNFO supports most of the latest hardware standards and technologies. This can be highly useful for those who are looking for their system drivers for unknown devices. Although the information provided by HWiNFO is overwhelming, it is intelligently organized into easily understandable screens. The benefit of HWiNFO is that it also displays real-time information about the hardware which is highly useful for monitoring hardware for health issues. 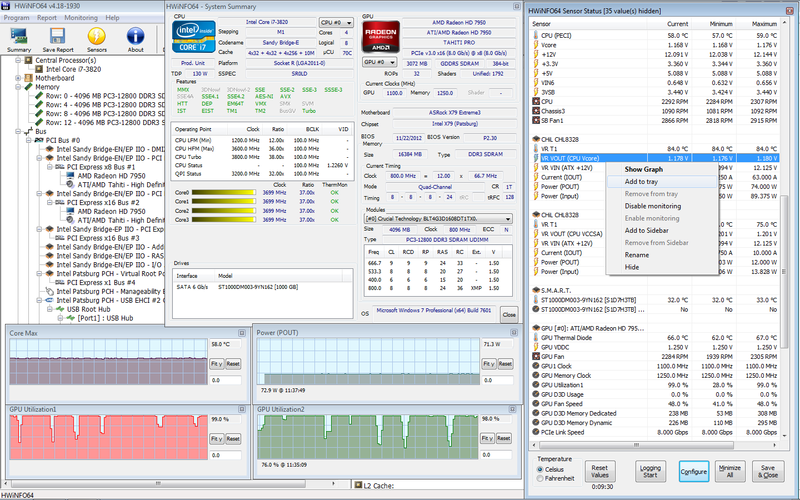 PC Wizard has been developed from the same publisher as CPU-Z except that PC Wizard is a professional grade software which extracts and displays a lot more information about the PC than CPU-Z. The information provided by PC Wizard is especially useful for finding new devices installed in the computer but they can’t be identified and their drivers are unknown. Sandra Lite does a great job of not only extracting tiny bits of information about the computer hardware, it also pinpoints how each hardware component is running and performing in the computer. The software is free for personal use and can be used on a single computer. You may go for the professional version if you want to check hardware details of computers in a network/domain environment. WinAudit is basically an inventory software which can list down some detail about your system hardware. 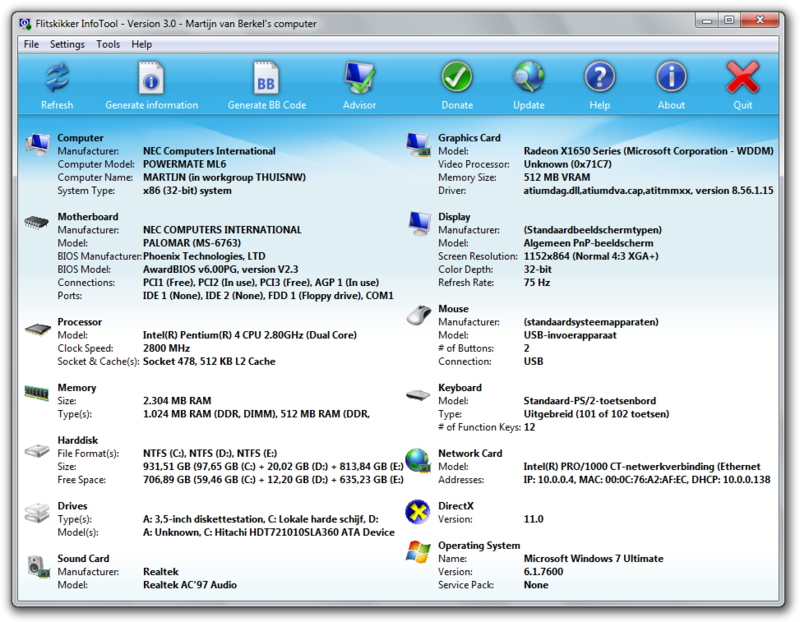 It shows information about installed hardware and software, licenses, security configuration, network information etc. The information shown in WinAudit can be exported in a text/PDF/XML/HTML file. The information shown by WinAudit is not instant. Rather, you will need to press the audit button before WinAudit can gather information from the computer and display or export information to a file. The purpose of BlackBox is to show precise details about the core components of your computer hardware. 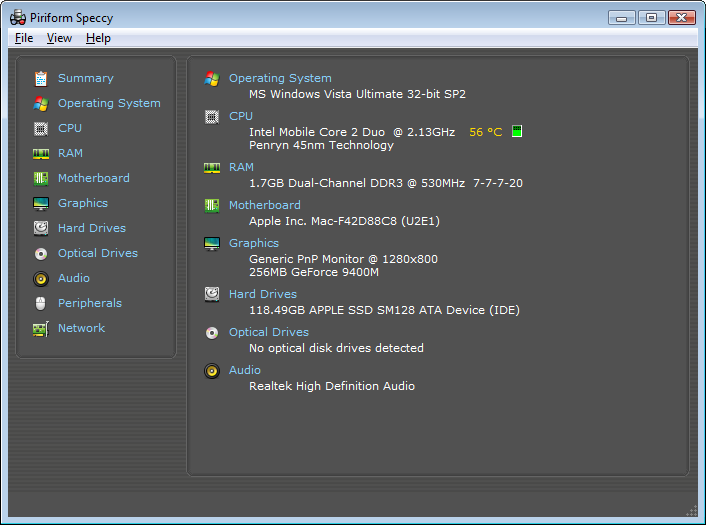 It not only display detailed information about the core components, it also shows detailed information about other installed devices and components of the computer. BlackBox is similar to CPU-Z in the style of information it provides and even the user interface. Flitskikker Info Tool can be a helpful tool if you want to share your hardware specification with other people online as it not only gathers the hardware information but also saves it in a text file. It will give information about main hardware components including Computer, Motherboard, Processor, Memory, Hard disk, Drives, Sound Card, Graphics Card, Display, Mouse, Keyboard, Network Card, DirectX, Operating System etc. 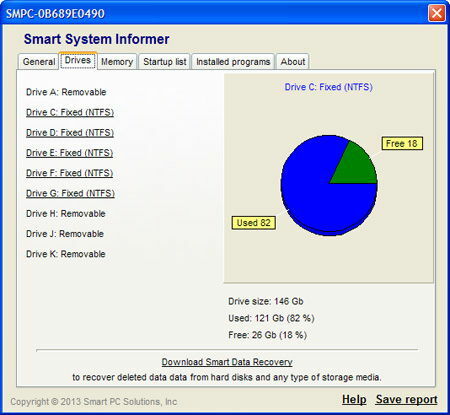 Smart System Informer is a handy little tool which can quickly display general information about your computer hardware and software. It will display information like computer ID, processor, BIOS, memory, disks, video, motherboard, monitor, computer startup, installed programs etc. If you are an intensive computer geek and are looking for something very much customizable to check every hardware detail of any computer, RWEverything is for you. This utility can access almost every hardware component including PCI (PCI Express), PCI Index/Data, Memory, Memory Index/Data, I/O Space, I/O Index/Data, Super I/O, Clock Generator, DIMM SPD, SMBus Device, CPU MSR Registers, ATA/ATAPI Identify Data, Disk Read Write, ACPI Tables Dump (include AML decode), Embedded Controller, USB Information, SMBIOS Structures, PCI Option ROMs, MP Configuration Table, E820, EDID and Remote Access. You can also access any computer component using the command line. What type of hardware details you always look for in your computer? Which tool do you use for this purpose? hi there. i would to ask about a part of processor that save cpu information supplied from manufacturer. so my question is, what is the name of this part of cpu? What about hardware audit in a network? 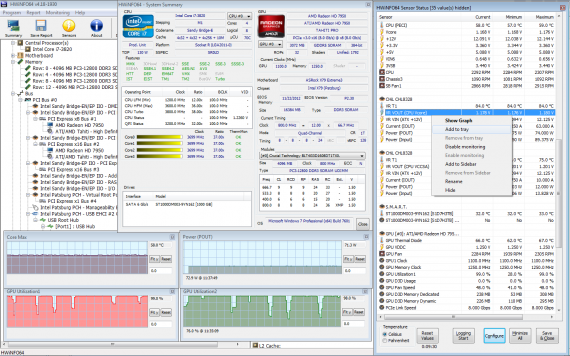 I`m using Total Network Inventory as a pc hardware inventory http://www.softinventive.com/hardware-inventory/ in a network as well as a software and license audit tool. When you need to check a big network consisting, for example, with 200 PCs and you don`t want to manually check all nodes. And btw, there`s also AIDA 64 i use in my flash drive to check one computer. No mention of BELARC ADVISOR. I have been using it for over 12 years. Thanks for adding Dan. BELARC ADVISOR is definitely worth the go but I somehow missed it.